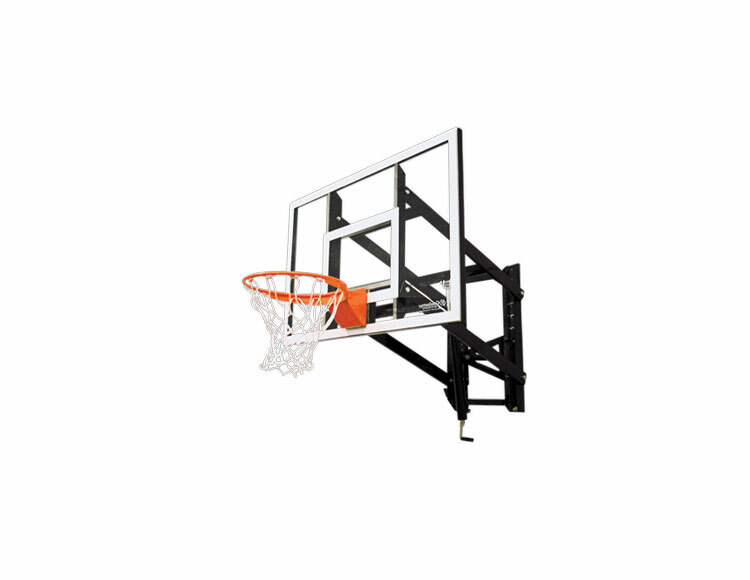 The Goalsetter GS54 wall mount basketball system showcases a 36-in x 54-in glass backboard and a Heavy-Duty Flex rim. 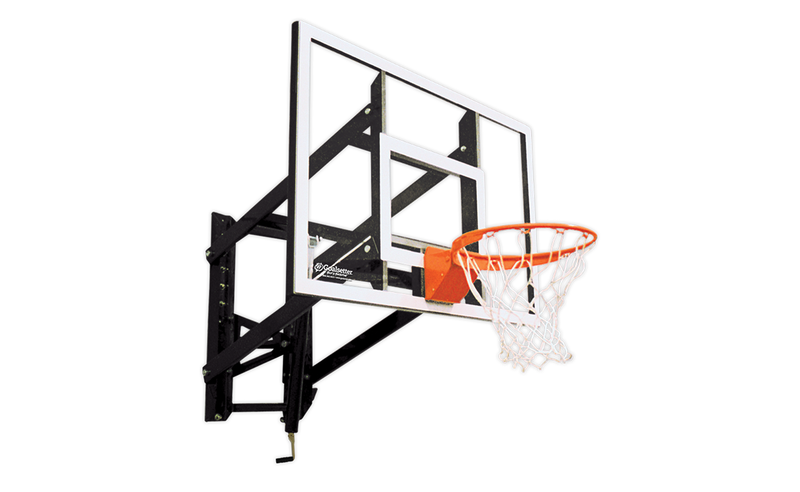 It’s easily adjustable between 6 and 10 ft with an external Compression Height Adjustment System and offers offers at least 3-ft of extension from the wall to the front of the backboard. 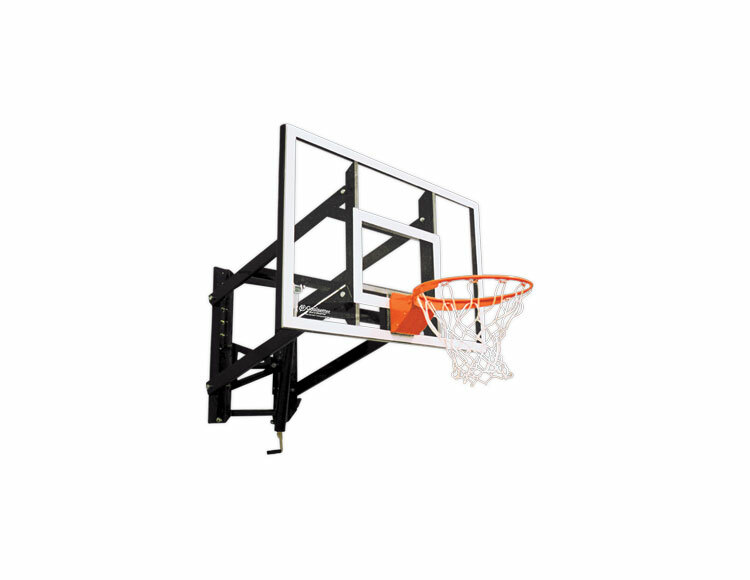 The Goalsetter GS54 will meet your home-court needs and utilize your entire playing area. With a simple turn of the height adjustment handle, the GS54 easily adjusts from 6′ to 10′ – or anywhere in between. The GS54 can be customized by choosing a 36″ x 54″ x 3/8″ Tempered Glass or Clear Fortified Acrylic Backboard and by choosing the heavy Duty Flex Rim or Collegiate Breakaway Rim.